Any special arrangements about the maintenance of gardens and lawns should be listed in the tenancy agreement. 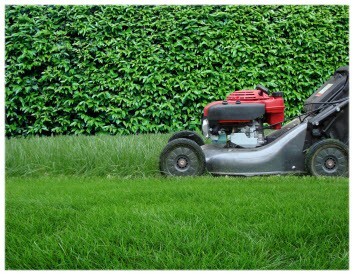 Any plants, hedges or lawns that require specialist upkeep are usually not the responsibility of the tenant, unless the tenant agrees. Local council water restrictions should also be considered. The tenant may not be held responsible if lawns, trees or other plants die because of compliance with these local laws or due to excessive dry weather conditions. Major work such as tree lopping is usually carried out by the property manager/owner as part of their obligation to keep the property in good repair. This type of work is not carried out on a regular basis and is more likely to require specialist knowledge or equipment such as ladders. If the yard maintenance is covered by a contract between the lessor and an external company this should be listed in the tenancy agreement. A property manager/owner cannot require the tenant to enter into a maintenance contract with a particular company in addition to their rent, or require the tenant to use a specific company to provide maintenance services.